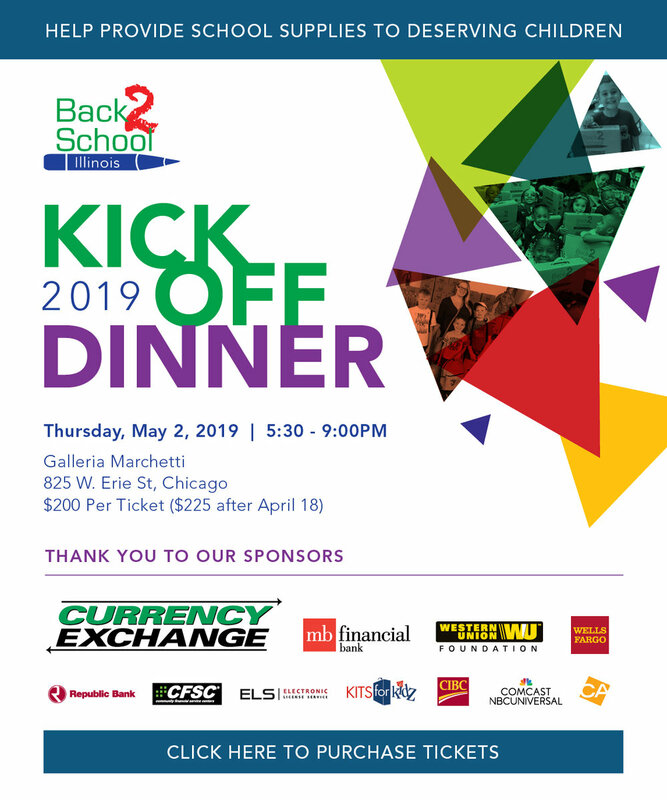 Join us at our annual Kickoff Dinner for a fun and inspirational evening as we come together to support our organization’s efforts to create and provide educational opportunities that enrich the lives of Illinois children. Click here to purchase your tickets today. Many fantastic items and packages up for bid along with a raffle too. Our Emcee for the evening, Marley Kayden is Co-host of “Chicago’s Best” on WGN-TV. College Scholarship Presentation to some amazing and inspirational high school seniors.